What does it promise? Mibblio touts itself as the first musically interactive storybook app of its kind. It aims to get children excited about reading by incorporating music into its stories. Does it deliver? Indeed. Each story in the app features “mibblets,” which are illustrated story-songs that invite children to read and sing along. In addition to singing and reading along, students may play instruments along with the music. Through the iPad interface, students get to play everything from acoustic guitar, harp and piano to flute, maracas and bongos. Can I Use it in My Classroom? 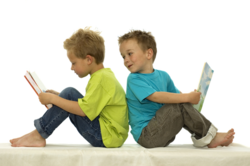 For early elementary and beginning readers, Mibblio is a tremendous resource. It also has a place in elementary music classes.